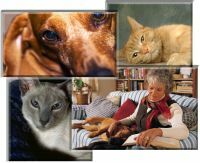 Cancer pain is one of the most debilitating pains that a dog or cat may face. Whether primary bone cancer or metastatic bone cancer, pain is usually THE reason that the patient is euthanized. 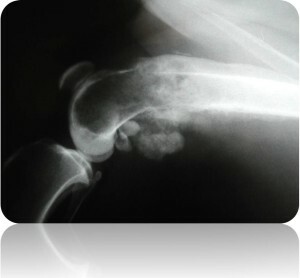 While surgical excision of the diseased bone may be the most direct way to eliminate this pain it is not always a practical consideration; surgical costs may be prohibitive, the disease may have progressed past the point of surgical feasibility, or the patient's overall condition may not allow for removal of the affected bone. Multimodal pain relieving medication therapy is the cornerstone of long-term cancer pain relief. NSAIDs, NMDA antagonists, calcium channel blockers (gabapentenoids), and tricyclic antidepressants are teamed up together for superior pain relief while simultaneously reducing the risk of adverse effects. Although coordinated multimodal pain relieving medications can provide substantial relief, they are often not effective enough by themselves. 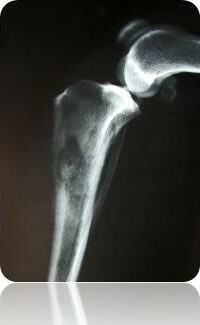 Bisphosphonate therapy is a well-tolerated bone cancer management tool that should be considered for all bone cancer patients. Bisphosphonate infusions help to relieve pain, reduce destructive bone changes, strengthen weakened bone, and slow tumor disease progression. These infusions can be repeated every month or so as patient needs dictate. 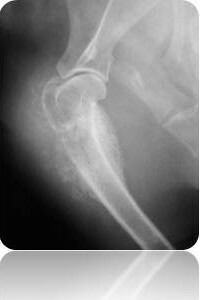 Chemotherapeutic medications and radiation therapy can be very effective tools to address bone cancer and its painful consequence. Chemotherapy is tailored to the canine or feline patient in a manner that controls the disease without excessive adverse patient effects. Our staff has been performing canine and feline chemotherapy for over thirty years. While chemotherapy is not inexpensive, the availability of generic agents has made this an affordable option for most clients. Radiation therapy is not available in Buffalo, NY area but is available within a few hours' drive. Unfortunately, radiation therapy requires multiple therapy sessions over an extended period of time with each session requiring heavy sedation or light anesthesia to complete. Radiation burns and the cost of therapy are deal breakers for many clients. Acupuncture and anticancer herbals are a frequent component in our interdisciplinary patient management programs. Patient discomfort, appetite, and energy levels improve when we add this to the management program. In addition, all cancer patients should be on a carefully constructed dietary management program, DHA therapy, as well as melatonin therapy.